A fully dramatised audio recordiing of the production accompanied by the original score from the show. 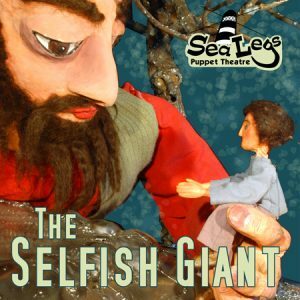 The specially commissioned score was composed by Sea Legs Puppet Theatre’s Musical Director Jack Bishop, with additional songs by Rob Ashman. Originally produced in May 2008 it had an initial run of 300 and has recently (May 2012) been remixed and remastered by Paul Cobbold. The new version was relaunched at Hay Festival 2012 where The Selfish Giant himself (with a little bit of assistance from Rob) did a signing after the performance. With beautifully designed artwork, featuring images of many of the shows best loved characters, the CD is an excellent companion to the performance. As always however, even if you can’t make any of the performances, it is a magical listening experience on its own and a wonderful introduction to the work of Oscar Wilde.